Manlove to serve as district representative on the Haddon Heights Board of Education. Drumm to serve as district representative to the N.J. School Boards Association. Klopp to serve as representative to the Camden County School Boards Assocaition. 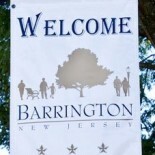 Correa to serve as representative to the Barrington Borough Council meetings. Superintendent Anthony Arcodia to serve as representative to the Camden County Educational Services Commission. This entry was posted on January 8, 2013 by Barrington Bulletin in Resources, Schools and tagged school board.